All cars and light vans, diesel, petrol and hybrids can be accommodated. Manufacturers service schedules are used. Repairs and service parts can either be original equipment or good quality but cheaper alternatives. All cars and light commercial vehicle service lights, investigation, diagnosis and repairs including some coding and programming can be undertaken. 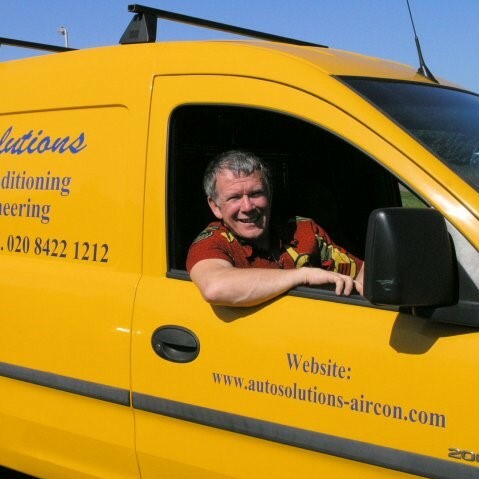 We specialise in a complete service and overhaul for all vehicle air conditioning systems. A mobile service is also available. Onsite work on industrial, commercial and agricultural vehicles is available. Most damaged pipework both rigid and flexible can be repaired. Full diagnosis, testing and servicing of any system can be performed. We are able to deal with all gas types in any vehicle including diesel, petrol, hybrid and electric. All bodywork repairs can be organised. Courtesy vehicle maybe available but it is driven on your own insurance. Fuel used must be replaced or paid for. Auto Solutions is a small customer friendly garage based in Harrow offering services for all makes of cars and light vans. These services include MOT, service, repairs, computer diagnosis and electrical problems. Tyres and bodywork can also be organised but are completed by a third party. A specialised and comprehensive air conditioning service is available both at the garage and your premises. Collection and delivery can be organised and a courtesy vehicle maybe available but it is driven on your own insurance. Fuel used must be replaced or paid for. All cards taken except AMEX. Payment can also be by Paypal & via the internet (BACS).